What would Hardie Board cost you to install on your house? It is a great product, so what would it cost to install on your house? HardiePlank siding is the most popular cement board siding in the U.S. and is on over 5 million homes! Example: A one story 2,000 sq ft ranch house with four sides or walls. Generally the price for this type of siding will run you about $5 to $10+ per square foot installed. If you ask a contractor how much does he charge to install Hardie Board Siding on your house he will tell you something like, 'we charge between $5 and $10 per square foot installed'. Plus extras and trim. Wow, so what does that mean? The difference in the prices will depend on how much labor is involved in the project, the time of the year and the geographic area you live in. Contractors have to charge for their labor costs. When they come out to your house to look at it and give you a price quote, they will make note of the general condition of the house and they will look for damaged or rotten wood that needs to be removed or repaired, the condition of the facia and soffits and the number of corners, windows and doors. How many corners do you have on your house. Corners take a lot more time to do, so the more corners you have on your house the more labor involved therefore the more it will cost you. How many window and door frames do you have that need to framed around. Do your window frames need to be repaired or replaced? How many windows do you have? 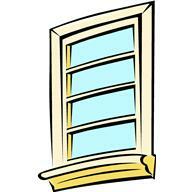 Window trim takes a lot of extra time to do so the more windows you have the more costs you have. If you have a two story house the contractor will have to erect scoffing to reach the top story of the house. This is very time and labor intensive and will add to your cost. Another very important item is what condition your exterior walls are in. Will the existing old siding need to be removed and hauled away? Lots of extra work there. Extra work is extra cost! 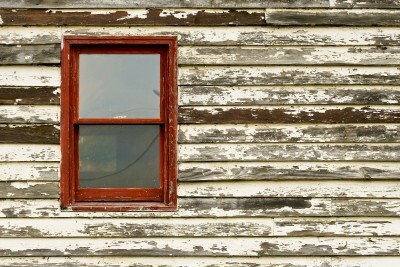 If your house is old enough to need new siding it most likely has other problems too. You need to fix rotten wood and termite damage before you install new Hardie Board. Repair and replacing damaged exterior walls can be very time consuming and will affect the overall cost associated with your project. Before you ever call any contractor you should walk around your house and make a list of every little problem you can find. Take pictures of each and write all this down in a note book so you can go over each item with each contractor to see what he will charge you to fix. To review more information on all the items you should be aware of and what problems you should expect to encounter click here. Siding Costs. Here is a very good video of a contractor looking at a home to determine what extra costs may be needed in order to install Hardie Board Siding on the home. If you live in Florida in the Jacksonville area, and would like to get more information on installing Hardie Board Siding on your home please click here. Here is a good resource of hardie board siding.